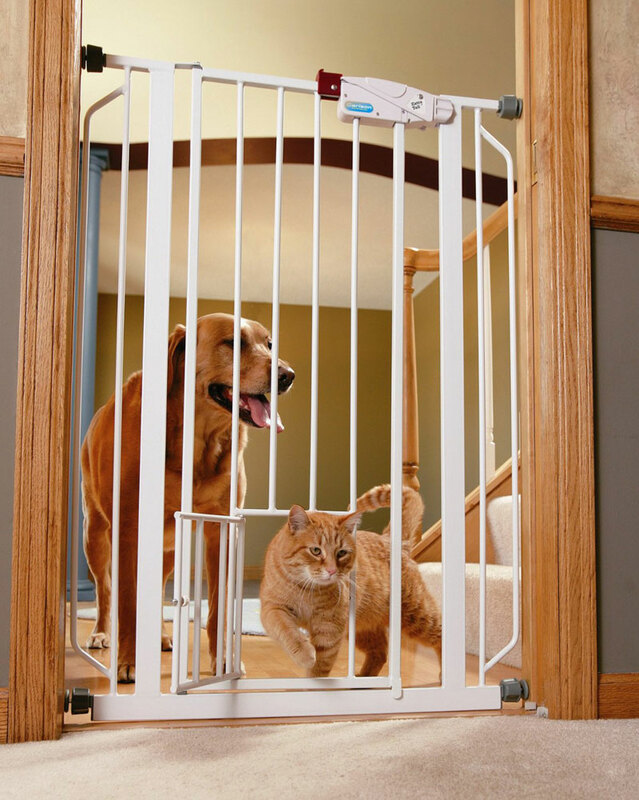 The Carlson Extra Tall Pet Gate stands at 41″ and includes a pet door. 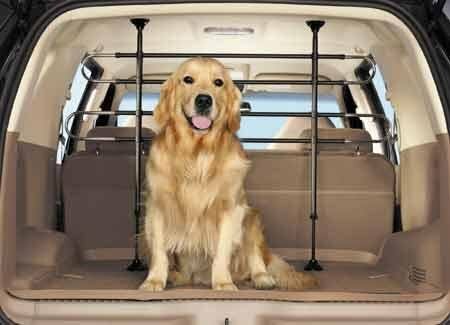 Despite your best efforts pets can be very resourceful in getting around barriers that you set for them. Having a way to successfully coral your fur baby in your home can save you headaches and make sure your pet doesn’t get into anything off-limits. 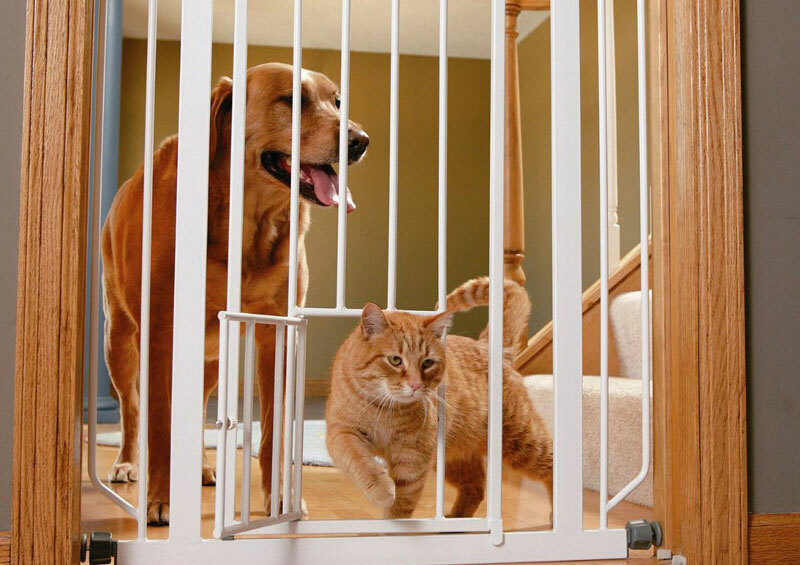 An extra tall pet gate can be an extremely useful resource for keeping your pet out of trouble inside the house. 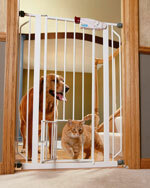 Standard pet gates have a height of between 26 inches and 32 inches, which sometime just doesn’t cut it. 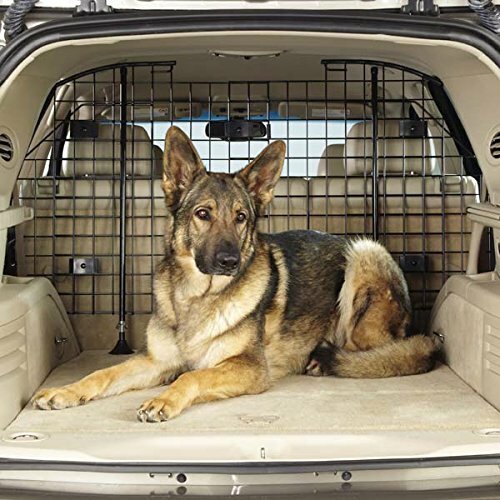 With this in mind we set out to find tall pet gate options that can give you a little edge in the battle against curious wayward pets. Below we’ve compiled a list of gates with a minimum height standard of 36 inches to give you an idea of the models available. We hope the following list will be useful to you in finding the best gate for your home. Hopefully the comparison chart above is useful in getting a quick sense of the variety of tall pet gates available at various price ranges. Below we’ll highlight a few of the most popular options and go into more detail about their features. 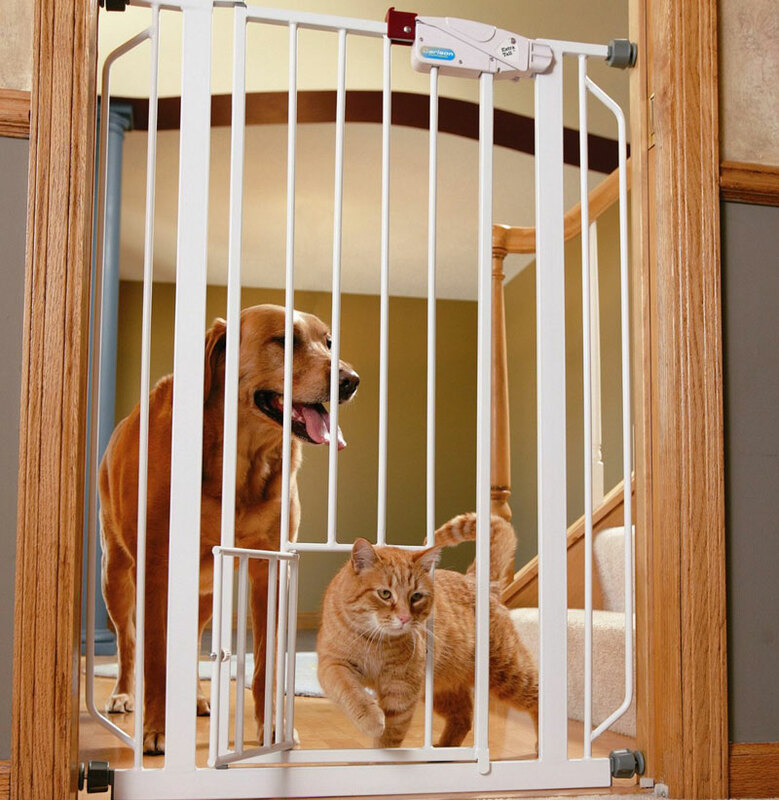 The Carlson Extra Tall Pet Gate includes thoughtfully designed features. Its frame is lead-free and non-toxic all-steel construction. This means that pets can’t chew through the gate, but if they chew on it they won’t be harmed. The gate stands at a whopping 41 inches tall, which is about the maximum height for indoor pet gates. The width of this gate can span spaces between 29 and 34 inches wide, though there are extension pieces available that can extend the span. Another thoughtful feature of this model is the included pet door that smaller animals can access. The pet door measures 10 inches high by 7 inches wide. So if you have a smaller pet that you let roam freely and a larger pet that has a designated space, this gate allows you to accommodate both pets. 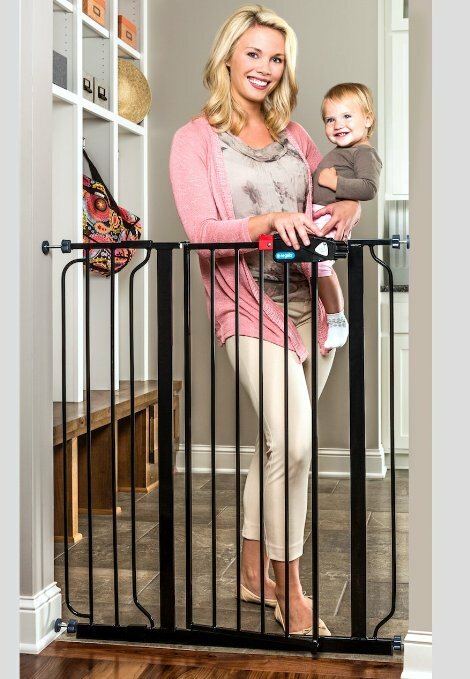 The Munchkin Extending Extra Tall and Wide Metal Gate offers a lot of coverage for both height and width. 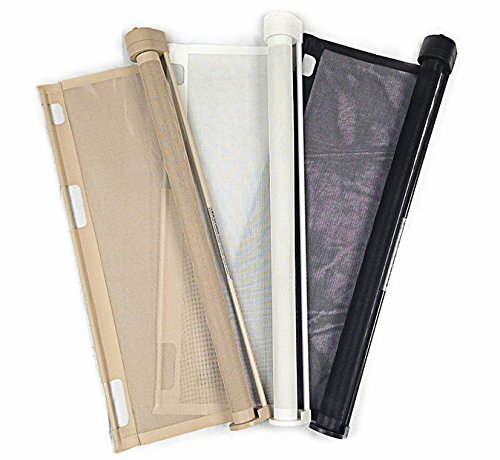 It boasts a sturdy metal frame and stands at 36 inches tall. The adjustable width makes it so the gate can span openings between 33.5 and 56 inches wide. This gate also offers some versatility in its set up options and it ability to be removed simply. It can be set up to swing open in either one or in both directions. It can also be easily removed from its wall brackets if you want to temporarily take the gate down. 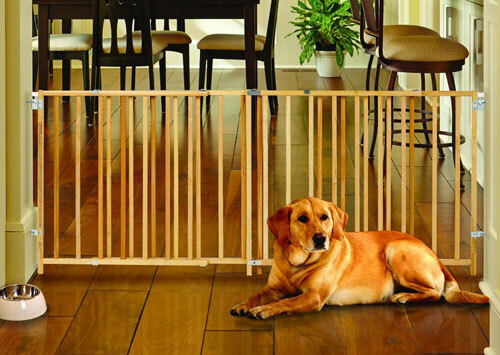 This is handy if you’re entertaining and don’t want a pet gate barrier in the middle of your home. The Regalo Deluxe Easy Step Extra Tall Gate is a rather stylish model gate. The gate is constructed out of steel and is very sturdy. It features a convenient walk through design, and the frame sports a premium black pearl finish. This pressure mounted gate is another extra tall model and it stands 41 inches tall. The gate can be adjusted to fit openings from 29 to 40 inches wide. Its latch is designed to be easily opened with one hand, and it also includes a safety locking feature. Note that the door opening for this model is only 16 inches wide, which is a tighter squeeze than other models.